Food Rescue teaches kids to solve the problem of 1 billion unopened food items being fed to landfills annually in U.S. schools. 1 in 6 are Americans Food Insecure while 40% of Our Food is Wasted. 1 Billion Unopened and Unpeeled Food Items Are Fed to Landfills Annually in American Schools. Schools Are Unaware The USDA Promotes K-12 Food Rescue As Both Safe And Legal. 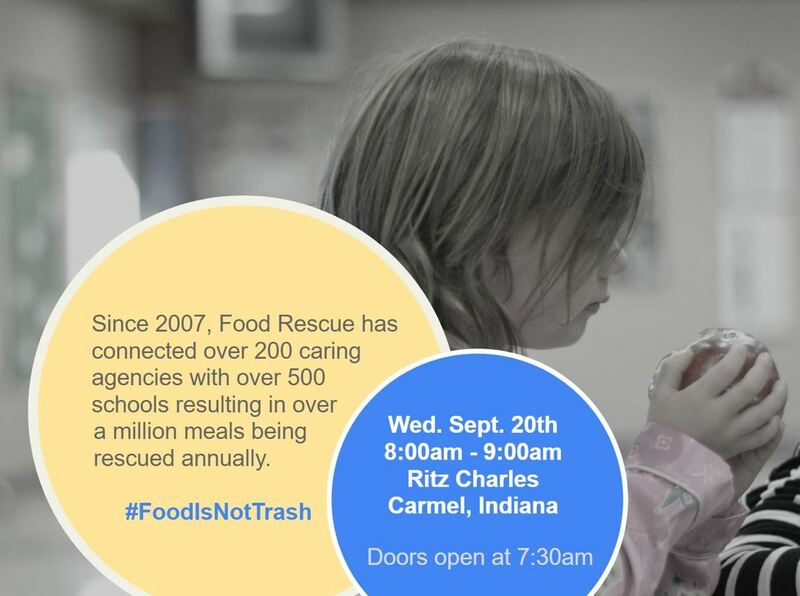 ​Food Rescue is seeking table sponsors for our upcoming 10 Year Celebration Breakfast. Table sponsors are asked fill a table of 10 at the breakfast. The donation we are requesting is $2500. The breakfast is free. Guests will be given an opportunity to learn about Food Rescue and to financially support Food Rescue, but people should enjoy the event whether or not they choose to give financially. If you are unable to attend but wish to support Food Rescue, please visit foodrescue.net/give to make a secure online donation. RSVP at http://bit.ly/2qoacGT or contact John Williamson.